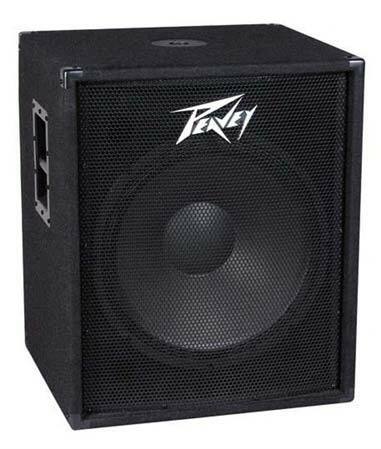 Order your Peavey PV118 PA Subwoofer from AMS and enjoy 0% Interest Payment Plans, Free Shipping, Free Extended Warranty & 45 Day Money Back Guarantee. 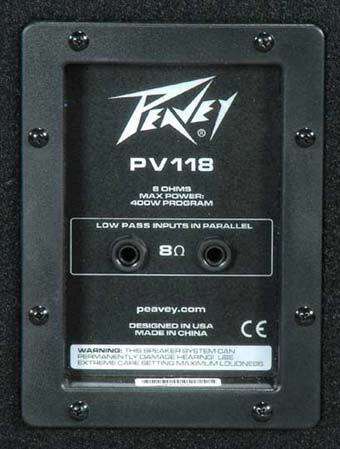 The Peavey PV118 reinforces Peavey’s Performance & Value legacy with an incredible price on this High Powered 18 inch subwoofer! This high-impact sub is a vented enclosure, loaded with a Pro Eighteen 18-inch premium woofer and built with dado-joined 3/4-inch MDF. A pole socket mount is built in to the top of the cabinet for mounting full-range speakers. The PV 118 handles 400 watts (program) and is rated with an impressive 118dB SPL rating. Its dimensions are 27.00 x 21.88 x 19.63 inches and it weighs 73 lbs. 8 Ohms. Great boom for your buck! This sub adds a great low-end punch without breaking the bank. I run two as a parallel pair with a Crown xls1000 in bridge mono. I'm very happy with the sound. I use pv118 this pass weekend and I work great. I only have one but I am going get other one soon. They sound good. Exactly what we wanted for our church. bought a pair of pv118 subs, to go along with my pr15 subs, and bought a pair of pv215 speakers, 2 QSC GX7 power amps, looks impressive, and sounds unbelievable!! Chest pounding bass all night long, great speakers, heavy, great construction, came packaged well! Very happy! Everything I thought it would be . Perfect sound for the perfect price ?? Very pleased and surprised. A lot of low end punch, more than I thought possible. Great durability and the built in crossover works fantastic. No need for a separate one.